A presentation of Marshall Amplification's new Code modeling amps series. A live demo of Marshall's new 2525C Mini Jubilee combo from their booth at the NAMM. Marshall has introduces the 2525 Mini Jubilee head and combo, inspired by the brand's JCM Silver Jubilee model. Marshall introduces Code, a new generation of fully programmable amplifiers combining authentic Marshall tones with professional quality effects. Marshall is at Summer NAMM in Nashville to introduce its new range of Asturia amps that had been unveiled at Musikmesse a few weeks ago. 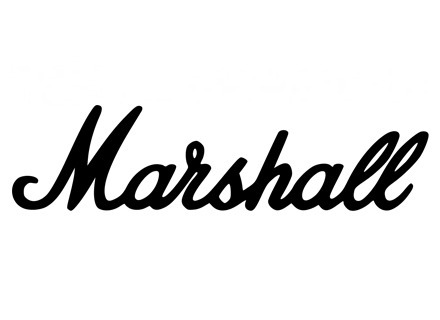 Marshall debuts at Musikmesse 2015 the new Astoria series vintage-style all-tube guitar amplifiers that features three combos. The future of our planet is everyone’s concern, including audio gear manufacturers. Marshall has found a solution for « greener » guitar amps. Marshall introduces at NAMM the long-requested reissue of its 2555 Silver Jubilee all-valve guitar amplifier. Marshall joined forces with 5 tattooists to customize a series of combos and stacks from the Marshall Custom Shop.